This package includes our most popular courses! These core courses will give you the tools you need to get you and your dog ring ready! Purchasing this Course with Coaching gives you access to our exclusive Coaching Group for THREE MONTHS from the purchase date. This package includes our most popular courses! These core courses will give you the tools you need to get you and your dog ring ready! Introduction to Dog Shows will explain everything you need to know about dog shows including how the classes work, what to wear, ring procedures and so much more. Our Training Gaiting for the Show Ring will teach you how to move your dog correctly in the ring for a winning performance. Training Stacking for the Show Ring will prepare your dog for hand stacking and get you flashy free stacks needed for success! And our Handling 101 course will help you understand your role in the team and what to do in the ring to make your dog shine. Get everything you need to become a winning team in one place! Purchasing the Bundle With Coaching option gives students access to EACH Course’s Coaching forum for a period of THREE MONTHS from the purchase date. This FREE course will help students to learn and understand what positive reinforcement training is, how it works and how to apply it. This course will teach you how to train your dog to be hand stacked and to free stack for the show ring. 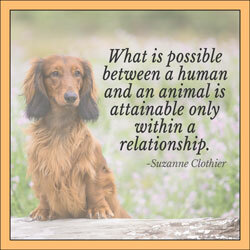 How to train it, as well as how to train the dog to hold the position and problem solve issues will all be discussed. Two friends, each long-time breeders in different breeds come together to share their experience and process in grading litters. This course will cover everything from how to evaluate a litter of puppies, whether your own breed or another breed to making the decisions on where to place each puppy, to how to best stay on track with your breeding program and so much more. In this course we will look at what causes pacing in show dogs and how to correct this movement issue. This course is based on Vicki’s exclusive From Shy to Showy program which shows people how to help their shy or fearful show dogs. From Shy to Showy is a book, webinar and workshop that has been presented from coast to coast bringing people success with their sensitive show dogs. This is the program for you! The SDPS Mentor Program is for anyone who is interested in becoming more successful in the show ring. More than just a course, this program is designed to prep your dog and yourself for the show ring. Whether you have your first toy show dog or have been showing toys for years, you will get something from this course. This course will not only cover toy dogs and what this means as a group, but helpful hints on training and handling toy dogs as well as information on useful tools and techniques. This course is intended for professional trainers who are interested in adding conformation training to their service offerings. Conformation or dog shows are one of the oldest and most popular of the dog sports. However, most classes are taught by hobbyists rather than professional dog trainers. Many skilled professional trainers could be offering conformation training and behavior consulting for show dogs and they should be. 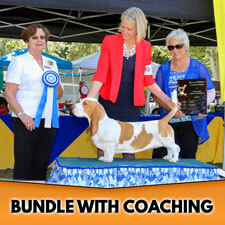 This course will give professional trainers the confidence to coach conformation clients.The focus will be on what show dogs need to learn, how to support show dog clients in basic training classes and how to build a solid conformation class training plan. In this course you will learn everything you need to know about how to shape a puppy into a show dog. Everything from how to start the early training, to socialization and teaching early handling, it’s all here. This course is intended for professional trainers who are interested in adding conformation training to their service offerings. Focus will be on what show dogs need to learn, how to support show dog clients in basic training classes and how to build a solid conformation class training plan. Students purchasing the Course With Coaching option will have access to an exclusive forum for 6 weeks from the date of purchase. In this exciting and exclusive forum, the course instructor will provide feedback and answer student questions weekly. This course will teach you how to train your dog to be hand stacked and to free stack for the show ring. How to train it, as well as how to train the dog to hold the position and problem solve issues will all be discussed. Students purchasing the Course With Coaching option will have access to an exclusive forum for 6 weeks from the date of purchase. In this exciting and exclusive forum, the course instructor will provide feedback and answer student questions weekly. This course is intended for professional trainers who are interested in adding conformation training to their service offerings. Focus will be on what show dogs need to learn, how to support show dog clients in basic training classes and how to build a solid conformation class training plan. This course will focus on the actual handling of the dog in the show ring. Students will learn how to best present their dog from the basics to tricks and tips to showcase their dog in the best light. This course will focus on the actual handling of the dog in the show ring. Students will learn how to best present their dog from the basics to tricks and tips to showcase their dog in the best light. Students purchasing the Course With Coaching option will have access to an exclusive forum for 6 weeks from the date of purchase. In this exciting and exclusive forum, the course instructor will provide feedback and answer student questions weekly.